Perhaps the most important piece of a suit of armour is the breastplate, protecting the chest and stomach from the blows of swords and striking of arrows. Few breastplates match the might of the Steel Georg Breastplate. This handmade, 18-gauge steel armour fits the chest perfectly, keeping the abdomen safe from harm. 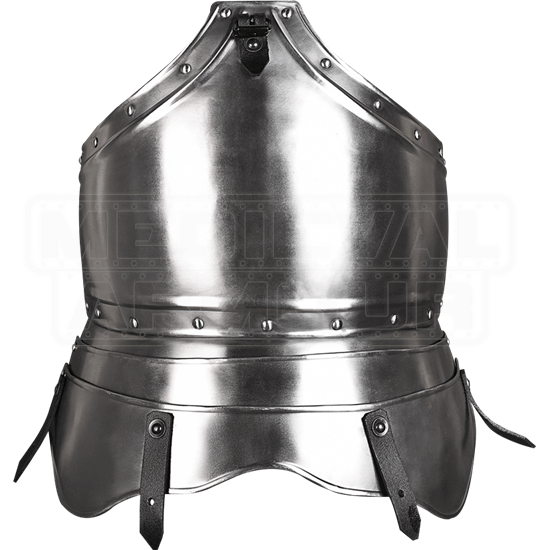 Its borders sport ornamental riveting that only adds medieval authenticity to the armour, and articulated steel plates at the bottom of the breastplate protect the stomach and flanks without impeding movement. Its top has a buckle for the placement of a gorget, and its bottom features leather straps for the attachment of tassets. This breastplate was originally designed for use with other pieces from the Georg armour set, but it can also be paired with any pieces of armour that feature the appropriate attachment points, allowing you to customize your look. 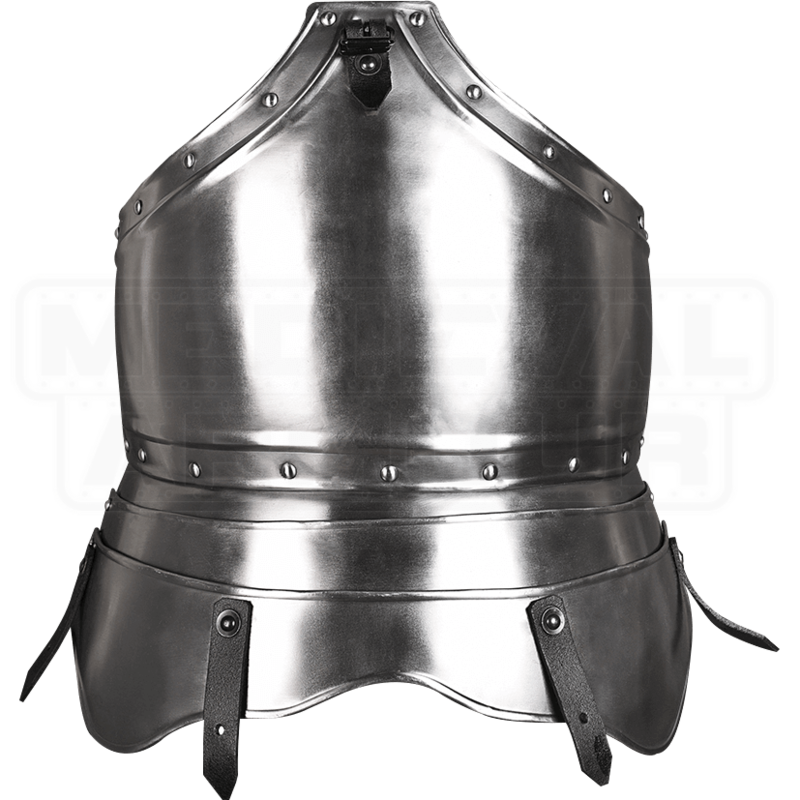 The Steel Georg Breastplate makes a fantastic component of any LARP or reenactment suit of armour.